Where to buy large trees in Utah and why have large trees? Incorporating large trees into your property is not only a great way to increase the value of your home, but it’s a wonderful way to beautify your yard. When you have mature, large trees on your property it makes your home stand out as an aesthetically pleasing masterpiece. Based on an article written about recent nationwide surveys, having mature trees incorporated into a well-kept yard can increase the value of your home anywhere from 7-19%! Where to buy Large Trees in Utah? 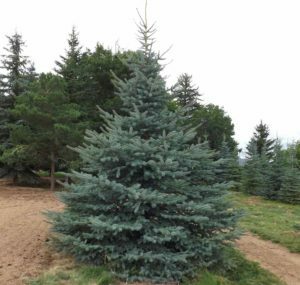 You can purchase large trees up to 30′ directly from us at Willowcreek Tree Farms. They provide many great features and benefits to your home, more so than just upping the value of your home. During the hot summer months they provide much needed shade, not only to those having fun outside on your beautiful lawn, but also to those inside your home. This shade also helps your homes conserve energy. When driving through your neighborhood your house will stand out with much more “curb appeal” than other homes because the mature trees and bushes provide very desirable privacy. Additionally, large trees provide a great windbreak for your outdoor activities. Many of our customers come back to us time and time again because of the quality customer service that we provide and because we’re a one-stop shop. There’s no need to find a tree farm, a transplanter AND a landscaper. At Willowcreek Tree Farms, you have all three. We specialize in the whole process of tree landscaping; from planting the seeds, all the way until the tree is firmly rooted in your yard. Incorporating a mature tree into a landscape takes a specialized landscaping service. Willowcreek Tree Farms is duly equipped and loaded with know-how to make your new large tree perfectly integrate with your landscape. You can rest easy knowing that any tree you purchase from Willowcreek Tree Farms was grown locally. Your tree will be pre-adapted to our climate. This helps ensure your tree will thrive on your property for years to come.